I think as everyone knows, Urban Decay have launched a brand new palette to add to their ‘Naked’ collection. I was lucky enough to get my hands on one before they sold out! 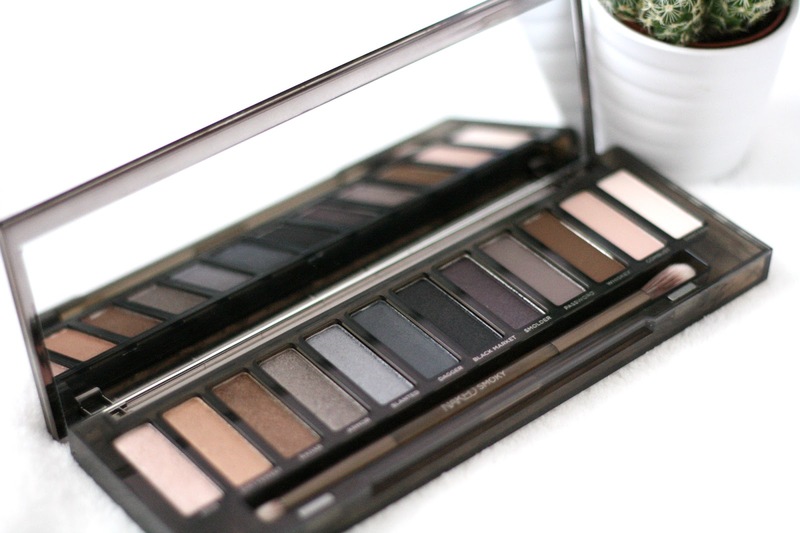 This by far has to be my favourite Naked palette so far. The packaging is gorgeous, its so easy to open and close and isn’t made out of cheap cardboard material; but made from a hardwearing plastic. I love the way it closes, its magnetic and you won’t have any worries of it flying open say if you were travelling. I also love the design on the front, the smoky edgy look is very photogenic! 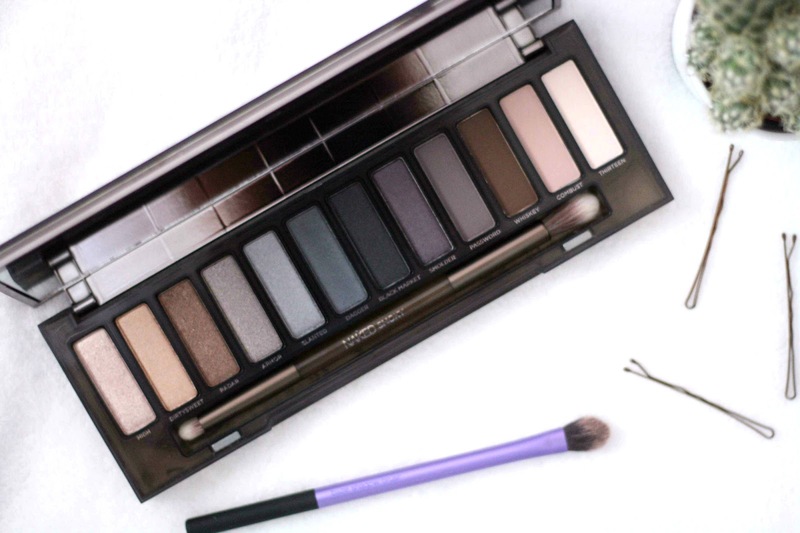 Onto the shades you’ll get in this stunning palette. They’re all so beautiful, there’s not one shade I dislike! ‘High‘ – This is a cream/champagne shade with a hint of shimmer; perfect for the inner corners of your eyes. ‘Dirtysweet‘ – A light bronzy shade, again with a hint of shimmer. This would be a gorgeous all over lid shade. ‘Radar‘ – More of a brown shade, almost taupe. Urban Decay state there is an iridescent shimmer to this shade too! ‘Armor‘ – A metallic silver shade with hints of shimmer running through, this shade is so perfect for a smoky eye look.‘Slanted‘ – To me this is almost a light blue shade, but swatches & goes onto the lid as more of a grey. A light metallic grey shade.‘Dagger‘ A darker blue/charcoal shade with hints of shimmer in again. ‘Black Market‘ – An almost black shade which UD describe as a satin finish, so not too much shimmer.‘Smolder‘ – Probably my favourite shade, its a dark purple/plum shade. Such a nice addition to the palette. ‘Password‘ – This is a cool taupe shade, which is matte. I love how they’ve split the mattes from the shimmers in this palette. ‘Whisky‘ – A very rich brown, it reminds me of a chocolaty colour. This is also matte; could work well as a crease shade or on outer corners. ‘Combust‘ – This is a light soft baby pink, with a bit of a taupe undertone. ‘Thirteen‘ – The irony of the name, its the twelfth shade yet called thirteen, nice one UD. This is a beige satin shade, could also work well on the inner corners. That was pretty long winded; but all the shades are completely wearable whether that’s for the daytime or the evening. I also love the brush that comes with this palette, you get a smaller finer smudging end and then a fluffy blending brush on the other, which is basically all you need when creating a smoky eye! 10/10 for this palette, well done Urban Decay.